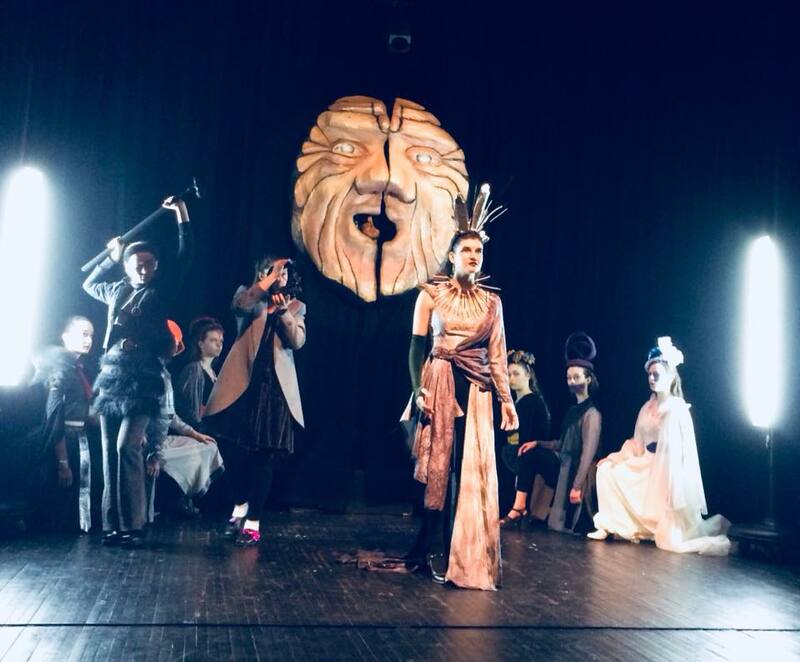 Congratulations to the cast, crew and directors of Stage 32’s production of LEAR, adapted and directed by U-32 Senior Noah Witke Mele, that was performed at the Vermont Regional Drama Festival on Saturday March 10. MAKE work that encourages us to think about BODIES, your BODY, their BODIES, how the media thinks your BODY should be, letting BODIES be how they want to be. Respond to BODIES in ANY WAY in ANY media. 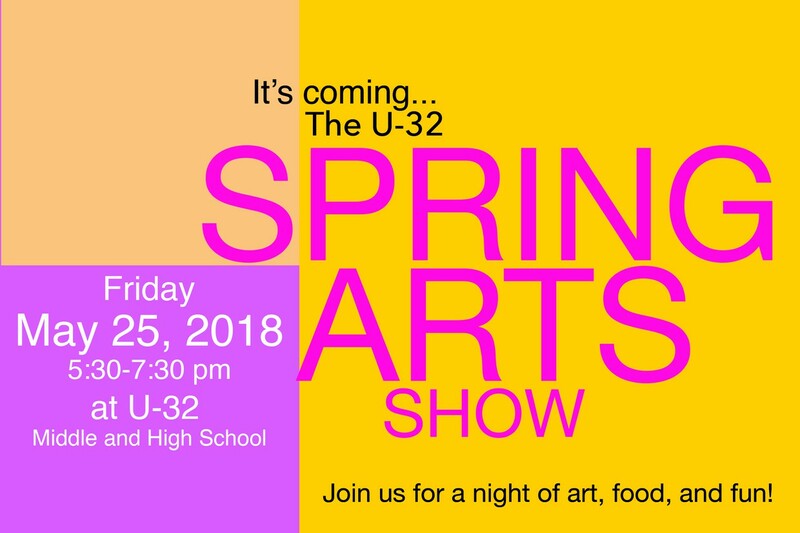 The U-32 Gallery will be accepting submissions until Friday, March 23rd 2018. 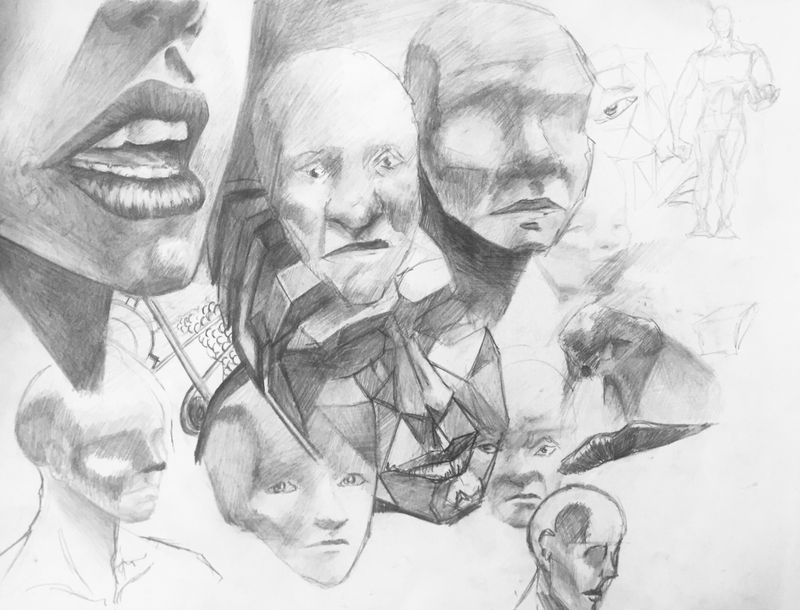 Send your work to gallery@u32.org or deliver it to room 111 on the 23rd. Global Teen Health Week is an annual week-long designation to raise the profile of adolescent health. With more than a billion adolescents worldwide, this age group comprises one of the largest segments of the world’s population. The rapid physical and emotional growth of this age group differentiates it from the needs of children and adults. Health behaviors resulting in illness later in life often start in the teen years. Stage 16 Middle School students performed “School House Rock,” January 26 & 27, a rockin’ fun musical good for the whole family! 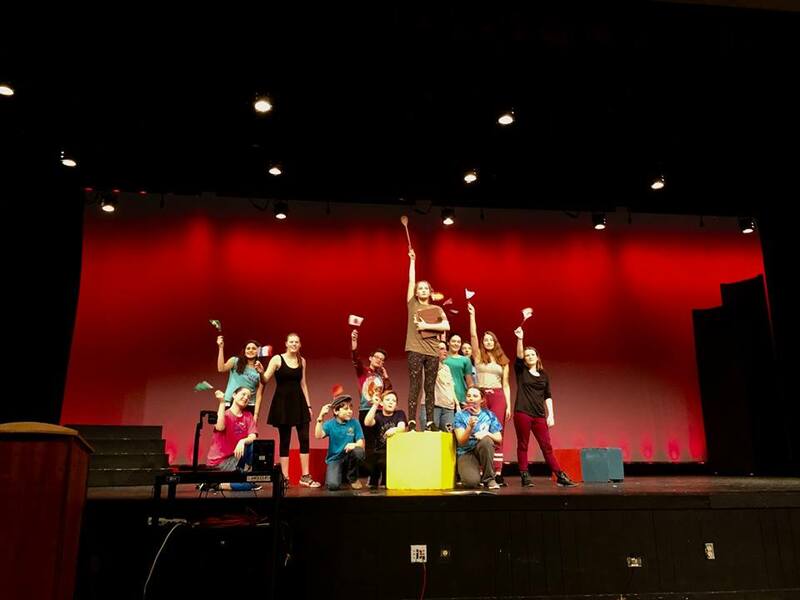 The Emmy Award-winning 1970s Saturday morning cartoon series that taught history, grammar, math and more through clever, tuneful songs, performed by Stage 16, the Middle School Theater Group at U-32. The Circus Comes to EMES! 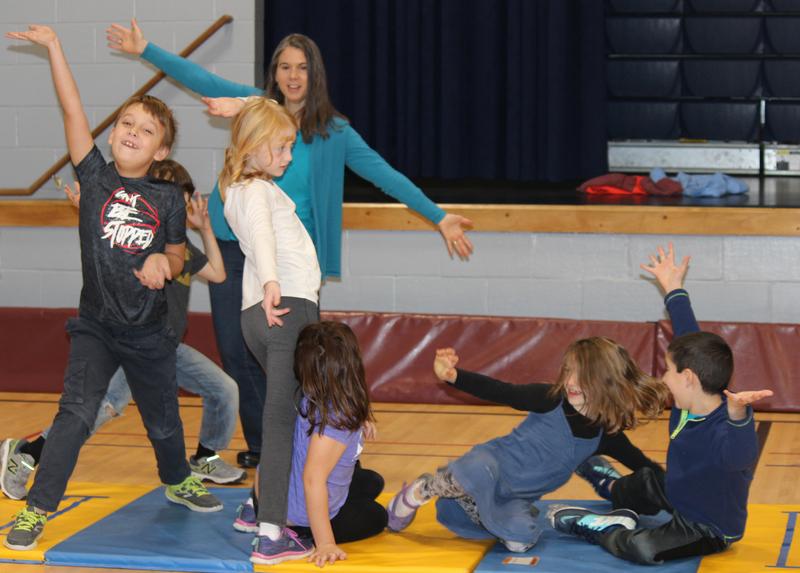 Brent and Maya McCoy of YES Theater ran a weeklong circus residency teaching physical comedy at East Montpelier Elementary in early November, culminating with a performance at U-32 on November 16th. 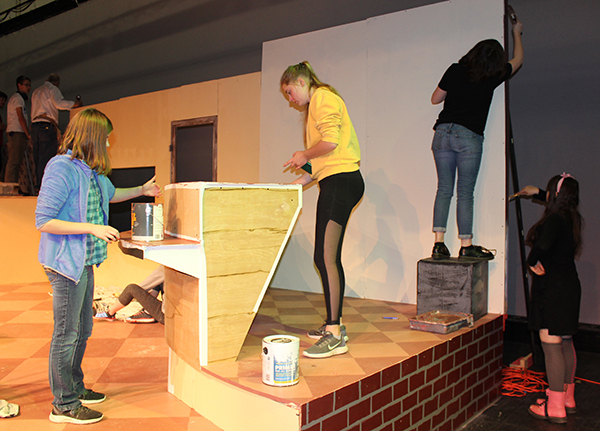 The Stage 32 tech crew is building the largest set ever for Spitfire Grill! Stage 32, the U-32 Theater program, is proud to present an intimate production of the acclaimed musical The Spitfire Grill by James Valcz and Fred Alley, based on the movie filmed in the Northeast Kingdom of Vermont in 1996. The production runs November 9, 10 and 11 at 7 p.m. and November 12 at 2 p.m., at U-32 Middle & High School, 930 Gallison Hill Road, Montpelier, VT. The Spitfire Grill production staff: Directors: Erin Galligan-Baldwin and Heather Clark-Warner; Music Directors: Roger Grow and David Powelson; Set Design and Construction: David Sanguinetti and students; Lighting Design: Wendy Stephens and students; Costumes by Amy Papineau and students and Prop design by Sue Verchereau and students. The show follows recently paroled convict Percy Talbott, who is looking for a place to start over, and rural Gilead, Wisconsin, seems just the right place. She takes a job at the Spitfire Grill, a crumbling diner where the townsfolk congregate and gossip, run by an ornery widow named Hannah. Hannah has been trying to sell the diner to escape from the painful memories it holds, but the property has been on the market for a decade with no takers. Soon, Percy hatches a plan to hold a raffle for ownership of the Spitfire Grill – for one hundred dollars and an essay about why they might want the Grill, anyone can enter the contest. As the seasons change and rumors about her past build, the contest entries begin to roll in and Percy starts to realize that she’s not the only person in Gilead with a history. Building on last year’s success of Cry Baby, which featured rock inspired music, Stage 32 looks to bring new life to this popular musical about rural America. When the show debuted in 2001, Billboard Magazine said “The Spitfire Grill is like a breath of fresh country air.” Stage 32’s Fall 2017 production of The Spitfire Grill will have you believing in the simple power of redemption. Family friendly. Tickets are $12 for adults and $10 for students and seniors. 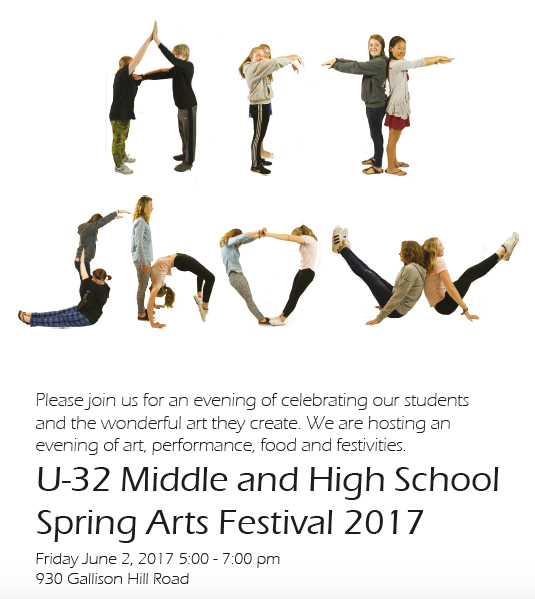 Tickets will be available at the door or you can reserve tickets at sverchereau@u32.org. 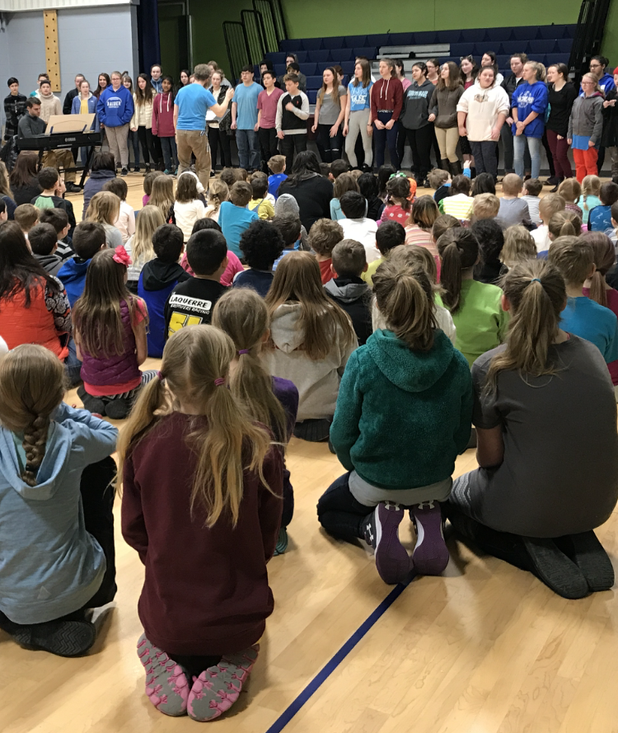 Washington Central music teachers hosted a full day of music celebration and learning opportunities for our elementary, middle and high school students at U-32 on October 25, 2017. The students from our five elementary schools joined a workshop model in the morning to explore our Artistic Expression Student Learning Outcome more in-depth. The students were in three groups that focused on instruments, strings or chorus. After morning workshops, groups of students from U-32 middle and high school performed for the elementary students. After lunch, elementary students from all five schools combined to perform as a band, string ensemble, and chorus. Several of the elementary students said how much fun they had during WCSU Music Day. The students also remarked at how impressed they were by the high school’s students and that they wanted to strive to reach their level. Washington Central would like to thank our eight music teachers for organizing and delivering a tremendous learning opportunity for all of our music students. Anne Decker, Roger Grow, David Powelson (U-32); Katelyn Liptak (Berlin); Brad Ohlson (Calais); Michael Close (Doty); Samantha Gelfon (East Montpelier) and Kira Krikorian (Rumney) – your continued enthusiasm and expertise in music for all of our students is appreciated and valued. To view the videos of the performances, please visit this link.